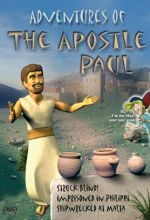 This engaging, animated program introduces children ages eight and above to the incredible life and work of the Apostle Paul. Take a look back about 1,960 years and accompany the Apostle Paul on his travels. For him and his friends, events are often life-threatening in Damascus, Philippi, on the Mediterranean Sea and on the island of Malta. Yet even in these dangerous situations, Paul knows that God will never leave him. To understand how the early church survived, spread, and grew after the ascension of Jesus, it is necessary to become familiar with the life and ministry of the Apostle Paul. Here is a superb way to introduce children to the early church, the spread of the Gospel after the time of Jesus on this earth, and the crucial role played by Paul as the greatest missionary who ever lived. Fullscreen. This animated feature introduces children to the work of the Apostle Paul in three short segments: “Struck Blind!” (Acts 7-9, in which Paul shares the story of his conversion to Christianity on the road to Damascus), “Imprisoned at Phillipi” (Acts 16, chronicling Paul’s second missionary journey, accompanied by Silas, during which the pair were imprisoned); and “Shipwrecked at Malta” (Acts 27-28, in which Paul as a prisoner is shipwrecked in a storm en route to Rome to appear before Caesar). Combing 3-D animation, an effective soundtrack, and attractive graphics, Adventures of the Apostle Paul does an excellent job of tailoring the material for children, presenting the various perils Paul encountered while spreading the Gospel in an exciting (but not frightening) way. DVD extras include the excellent featurette “Bag of Tricks,” which shows just how the film was made – research, writing, animating, and adding sound – in exceptionally interesting detail. Highly Recommended. In this animated tale, the history of Christianity is introduced by presenting the life and ministry of the Apostle Paul. The video expands on the passages from the Acts of the Apostles (Acts 7-9, 16, 27-28) that present Paul’s life from the time before he became a Christian (when he was known as Saul) to his conversion to Christianity and his travels to Philippi and Malta to spread Christianity. 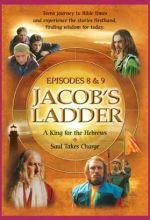 There are three 9-minute segments: “Struck Blind!,” “Imprisoned at Philippi,” and “Shipwrecked at Malta.” The rich colors of the animation and the dramatic narration build interest in Paul’s mission. However, the movements of the claymation characters are stiff and often not in sync with their voices, which detracts form the quality of this otherwise engaging productions.